THIS IS NO LONGER BEING WORKED ON. A Java-based Cave Story profile editor, complete with mod support! Click on "File" -> "Load Profile" to load a profile. If a Profile.dat file is found in the same directory as the application, it will be loaded automatically on startup. Modify the values to your liking, and then click on "File" -> "Save" in the toolbar to save the new profile. The MCI system is used for mod support. This system allows users to add custom items, weapons, equipment and more to the save editor with ease. See the MCI readme for more information about the MCI system. Want to share MCI files you have created or obtain MCI files that other people have made? Check the MCI Repository! Add "File" -> "Run Game"
Add icons for "File" -> "Unload Profile", "Change File", "Unload Game/Mod"
Noxid (@taedixon (github), @Noxid): Executable related code (classes in com.leo.cse.backend.exe), taken without permission from Booster's Lab. This is actually really cool! I love the way when you load your profile.dat it shows where your character last saved at, and the idea to have an MCI file is great for mods. This is an awesome save editor! Superb. Really good tool. When will it go to the misc tools section ? As soon as either Andwhy notices this and asks Leo40Story's permission, or as soon as someone contacts Andwhy to try to coerce him into adding this with Leo40Story's permission. If anyone wants to ask Andwhy to add this tool to the main site, or if Andwhy asks to do it, they have my permission. I've added it. Sorry about the wait. Wanna make an MCI file for your mod or for another mod? Well, now you can upload it to a repository! This one, to be exact. CaveSaveEdit v2.0, The Quite Big Update, has been released! CaveSaveEdit v3.0, The Plus Update, has been released! Very nice! I love how it has its own updater and the design is smooth and easy to navigate. It looks cool, too! Mine is not working.It keeps saying an error message saying: "Uncaught exception." All I did has I opened the file, and that's what happened. Can someone please help? If possible, please provide more details. I am not the one to solve this problem, but always try to provide as much information as possible when you are troubleshooting. Just took a quick gander at this because I was curious at how it looked like and i got a few nitpicks of my own. First of all the window itself has a pretty big shadow, especially one for a window, though that might just be my opinion. Dragging the window is nigh impossible too unless I move it really slowly, else my cursor just loses it's grip on the window. I'm also kinda concerned about the MCI system, it's a pretty cool system and stuff but when I open most of my stuff (including metronari and my testing mod) or even vanilla cave story I still see a huge "NO MOD LOADED" on the screen which is kinda not great to me. 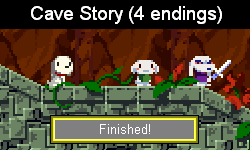 I dunno, I feel like it would be cool if it could just find the first best cave story exe it could find and grab the needed stuff without needing to for example make a MCI file for my experimenting mod and upload it so people can put it wherever it might even be (Considering I don't find any MCI files anywhere meaning i probably can't do it privately). I'll shrink the window shadow for the next release. As for dragging issues... blegh. I'll have to investigate them later. Wait, is your Profile.dat in a different location than your executable? Because that's the only reason I can think of for auto EXE loading not working with vanilla Cave Story. For now you can load the EXE manually, I'll see if I can come up with anything to solve that. 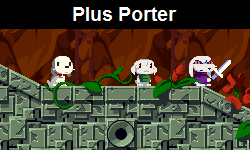 Cave Story Deluxe, I guess?